A great bunch of folks from the Let’s Talk Guild forum had gathered in Nashville, Tennessee in April 2013 for a chance to see and play some great guitars, swap stories and build camaraderie. As a result of that event, and a phone call placed by a dear lady from Texas, Ms. Toni Hynds requesting a special tour, I was privileged to spend an unforgettable Saturday with George Gruhn. I was late arriving at George’s world-renowned guitar store in downtown Nashville, so I didn't see anyone from the Guild group when I entered the store. It is likely I wouldn’t have noticed anyone, anyway, as all I could do was take in the myriad guitars hanging on the wall and the sea of people streaming in and out. 10 or 15 minutes flew by, and I had barely begun my own tour when I received a call from Toni asking where I was. The group was upstairs (by appointment only) viewing the private collection. I entered the upstairs gallery and was greeted by George, who shook one hand while handing me a guitar with the other. 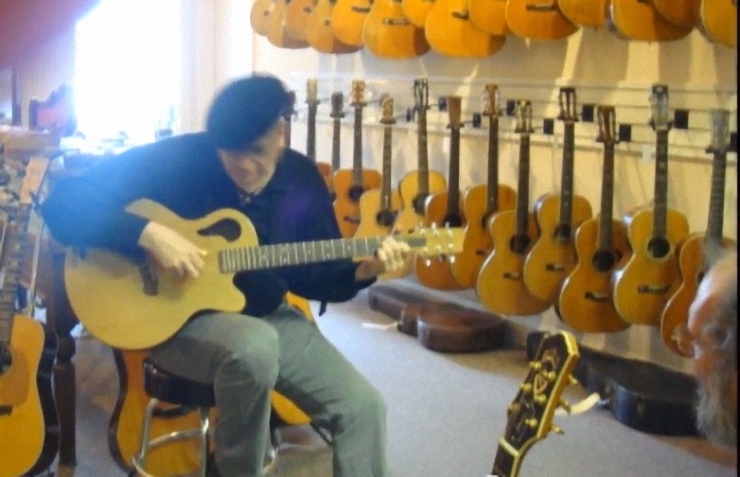 I sat down to play one of his prototype instruments, a Guild double cutaway. 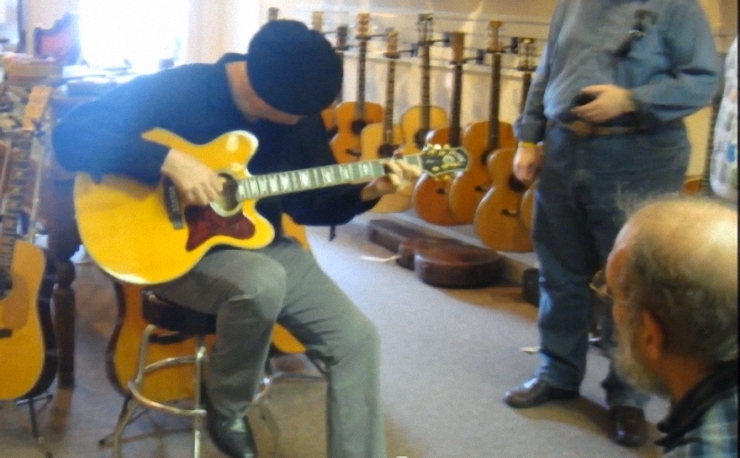 The guitar was relatively light, especially for a vintage Guild, and sounded great. After listening for a few minutes, George handed me another one of his prototype instruments, a Tacoma that had been designed to be an extremely affordable guitar. It had no appointments whatsoever, was small and light, and produced an amazing amount of volume. George listened to me play, then disappeared to return with yet another instrument for comparison. “Here”, he said, “Play what you were just playing on this one.” and he handed me a small, well-worn Martin. I handed him back the Tacoma and as I began to play emotion welled up in me just as others were spinning around in awe and amazement to locate the source of the incredible sound. I stopped playing to express my astonishment at this instrument. George smiled and told me it was a pre-war 00-28 Martin, well known for such a sound. He also commented on how well the Tacoma, a guitar costing 1/100th the price, held up in the comparison. 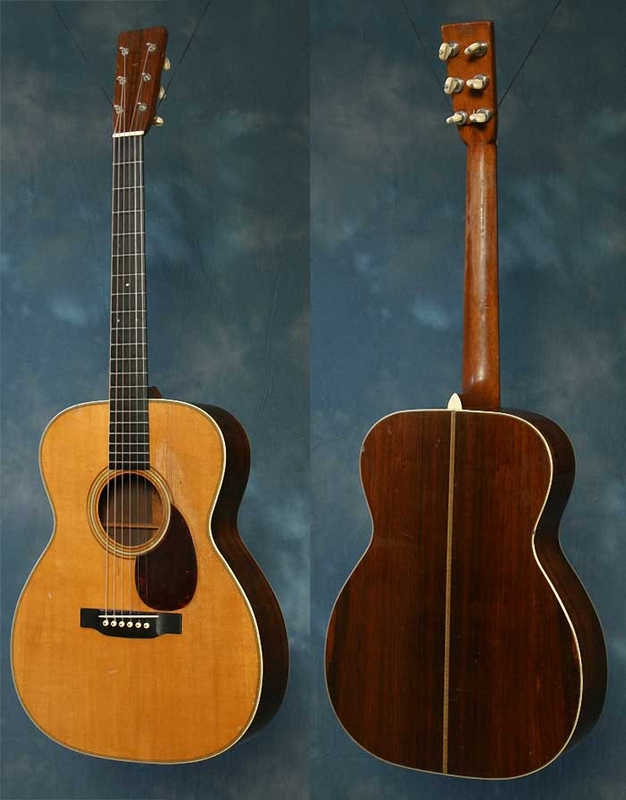 And so it continued that day, with George bringing me one guitar after another, ranging in age from a brand new slope shoulder D-21 Special Martin to an 83 year-old $50,000 Martin D-41. 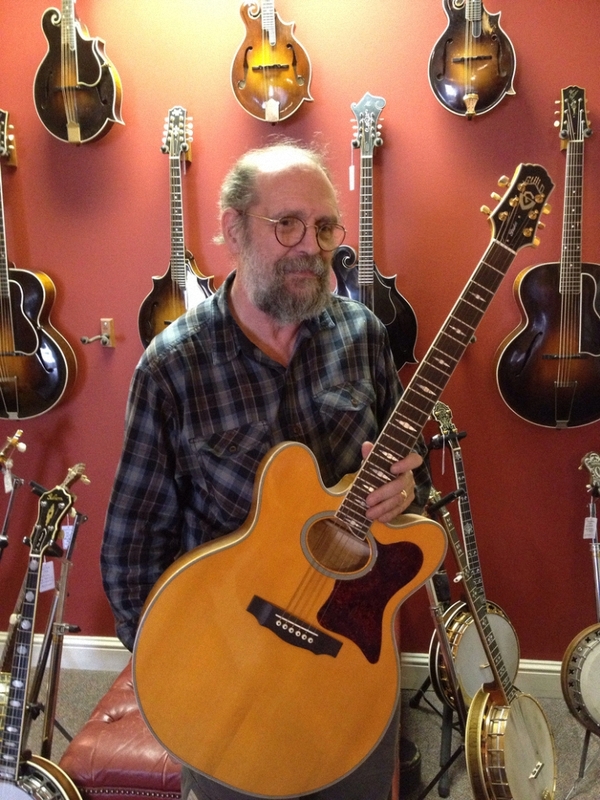 George noodled on a prototype Tacoma Papoose and a Gibson mandolin. The day ended much too early, as I could have stayed to play and listen and talk with this extraordinary man well into the evening. George Gruhn, you are a true gentleman, and I am honored to have spent such time together. Thank you!